Thank you for your interest in assistive technology (AT) evaluation from MonTECH! An AT evaluation is a robust process where MonTECH can work with your team to recommend specific AT in a formal written report. Many agencies request an evaluation because the report is required for access to or acquisition of AT devices or services. The following pages summarize the AT evaluation process and provide the forms necessary to initiate the evaluation. Please note that MonTECH also provides free AT demonstrations, an informal process where an individual can explore assistive technology options available. If you are unsure whether you require an AT evaluation or a demonstration, please contact us. If your organization would like MonTECH to complete an AT Evaluation, please contact one of our clinical coordinators so that we can determine which staff are best suited to perform your evaluation. Individual or referring agency not requiring a formal report, although some type of informal documentation of lab experience may be desired. Printed information about devices may be provided. Individual or referring agency indicates that a formal report is required for access to or acquisition of assistive technology devices or services. Individual or referring agency may or may not be certain of the functional goals to be achieved through assistive technology Individual or referring agency can identify specific functional abilities hoped to be achieved using assistive technology. Individual may or may not have participated in complete or partial assessments by related medical or rehab professionals to determine the extent of functional limitation due to the disability. Individual or referring agency can provide documentation regarding the functional limitations related to his/her disability; especially previous evaluations and assessments from appropriate therapy professionals. 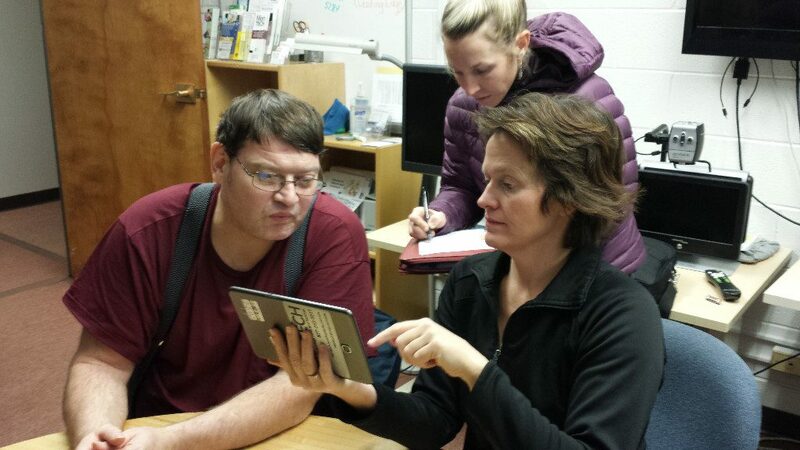 Individual is willing to explore a variety of devices or assistive technology solutions. Individual willing to participate in a complete assessment process and open to considering a full range of devices (the individual may express a particular interest in a specific device, but remains open to all options).